You think cast iron is too heavy and you are looking for an alternative? 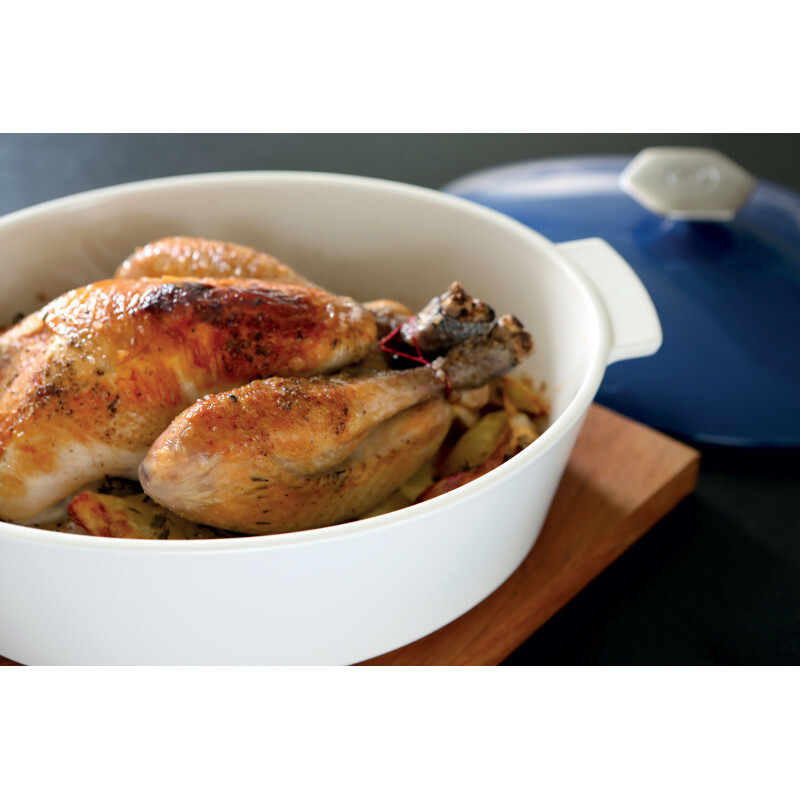 Revolution 2 is the answer of an alternative to cast iron Dutch oven. 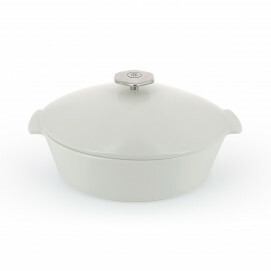 Improved version of REVOLUTION, the uniqueness of these products resides in the fact they are made of ceramic so they are lighter but as strong as cast iron and they are also beautiful, easy care and versatile. 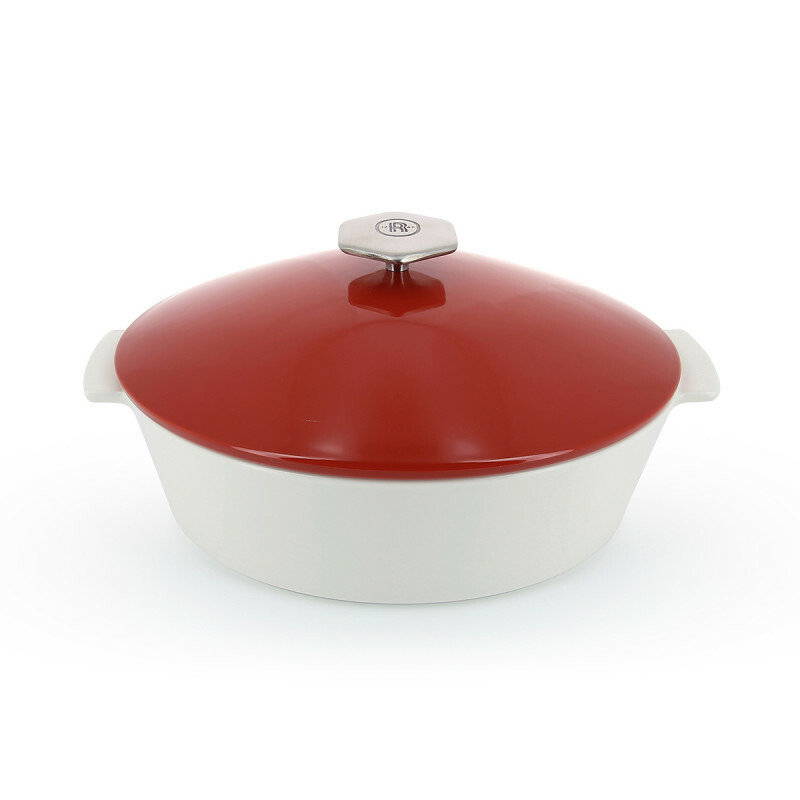 The red lid of this oval Dutch oven is made of ceramic and brings a very modern look to the casserole. Suitable for every heat source including induction, stovetop, electric top, oven and microwave, you can use this ceramic cookware to cook, simmer, boil, bake and braise any type of meat, vegetables or pasta preparation. Revolution has all the properties of ceramic and the resistance and durability of any other cookware, for a healthy cooking. 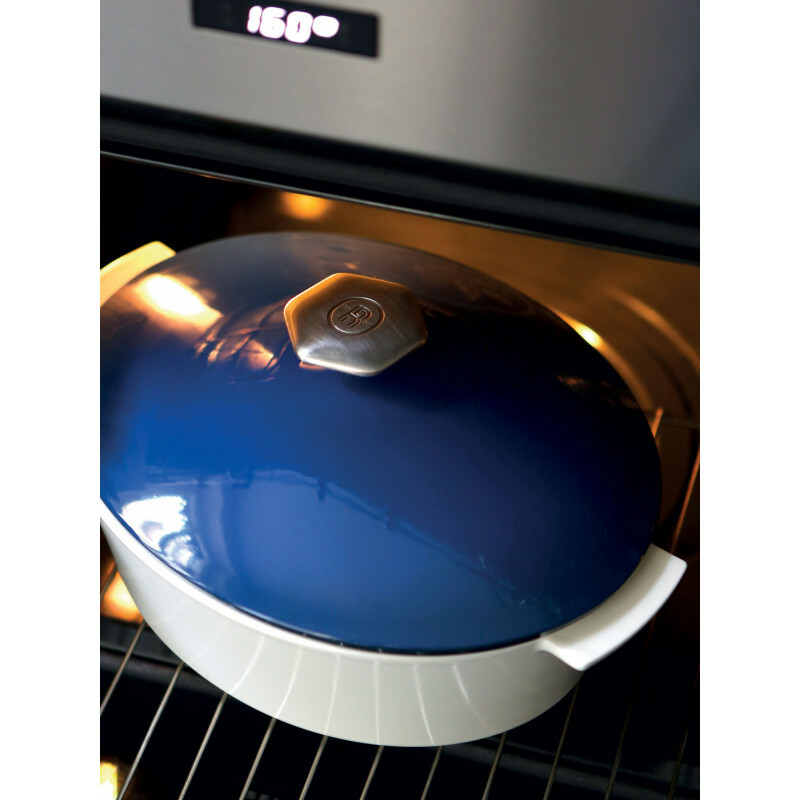 Not only they are resistant to thermal and mechanical shock: they also ensure a perfect even baking of your food. 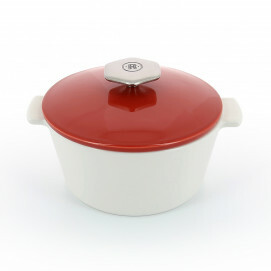 The casserole is non-stick and is dishwasher safe so no worries about the care! So more than a design piece, this casserole is a unique product you will use every day in the kitchen and in the dining room. Made if natural material, it does not contain any heavy metals or toxins which make the dish 100% food friendly. Also available in round.